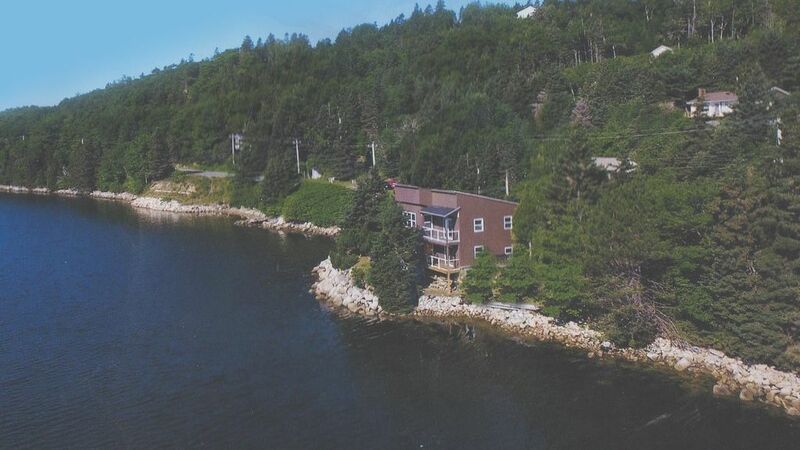 Ce loft d'une chambre est situé sur le chef de la rue Margaret's Bay. Vos deux balcons privés sont un lieu idéal pour les repas ou simplement pour se détendre et admirer la belle rue Margaret's Bay. Situé à 10 pas de l'océan et à seulement 50 pas de la rue Margaret's Bay 32 kilomètres Rails to Trails. Profitez également des excursions à bateaux affrété à proximité, des locations de kayak / vélo ou simplement conduire sur les plages, les cafés et les restaurants. Pour ceux d'entre vous qui apprécient le golf, Glen Arbor ou Brunello sont à proximité. Si vous souhaitez voyager plus loin, vous pouvez explorer Halifax, Queensland, Hubbards, Chester, Mahone Bay ou Peggy's Cove. I would definitely recommend this place to anyone traveling to the South Shore. Lots of space, clean, terrific setting. What an amazing place to rest and recharge. It was perfect for my husband and small dog for a week following a hectic family visit in the Halifax area. The photos do not do the apartment justice. It is immaculate and beautifully furnished and the tranquility on the two balconies was fabulous. I would definitely recommend this retreat as a terrific base close to Halifax and all the delights of the South Shore. All your essential shopping needs are within an easy 10 minute drive. Beautiful apartment right on St Margaret’s Bay. Modern clean elegant. Property was what we were hoping for. Clean, quiet, elegant and convenient. Owners very nice, friendly and helpful. This beautiful location nessicates multiple stair cases to take advantage of the captivating views. We loved this property. How to rebook in the future. Clean, peaceful getaway! Would definitely recommend! The rental is right on the water with amazing views out of every window! If you want a quiet getaway this is a great place. The kitchen is fully equipped Which is greatly appreciated as well. We would stay here again! We really enjoyed our stay here at the head of St. Margaret's Bay. Note that the house is right off the street and you cannot really get down to the water yet. The views were great and the place has been going through a remodel. Modern furniture and great new floors. This location is fine to be a base for local attractions, about 40 minutes from Halifax. Beautiful location. Comfortable apartment. Helpful and responsive owners. We originally booked three nights and ended up staying for six, due to some schedule changes. Couldn't have been happier to extend the stay! The views from the two balconies are wonderful and it is just so peaceful. Very comfortable bed and living room. The island table in the kitchen worked out perfectly! I would definitely stay here again!